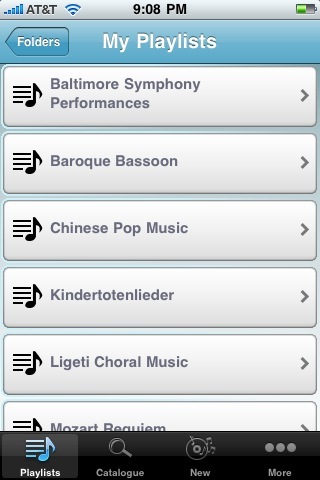 We’re pleased to alert you to the Naxos Music Library App for iPhone and iPod Touch. With access to more than 40,570 CDs and more than 581,000 tracks in genres as diverse as classical, jazz, blues, spoken word, and more, this free app adds a massive library of listening to your mobile device. In order to use the app, first create a personal account through the university’s online access to Naxos Music Library. Then, download the app and access streaming music on your iPhone or iPod. Detailed instructions follow. Visit the online version of Naxos Music Library. If prompted, log in with your JHED ID. Click the Playlists tab, then Sign Up to set up your personal playlist account. Setup a username and password. Activate your personal account via your confirmation email. If you like, set up personal playlists, which will be available in the App once you login. 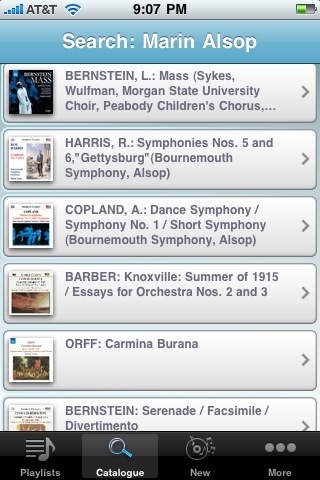 Download the (free) Naxos Music Library App from the iTunes App Store. Remember when you signed up to make your personal account? Sign in with that email & password. Select Catalogue to search for music. Want a more personalized experience? Return to the online Naxos Music Library anytime to setup personal playlists. A big thank you to Naxos Music Library, the Brentwood Library Buzz, and the Freed-Hardeman University Library for documenting how to set up and sync your account and playlists!